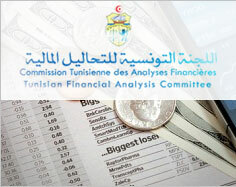 Enactment of Act n° 58-90 creating and organizing the Central Bank of Tunisia. 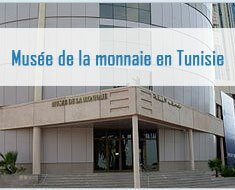 The Central Bank of Tunisia began its activity, and the Tunisian Dinar was put into circulation. Disconnection of the Tunisian dinar from the French franc and withdrawal of the national money from the franc zone. Enactment of Act. n°67-51 bearing the legislation on the banking profession. Prohibiting the BCT from the participation in the capital of resident companies and transferring to the State all its participations in these companies. 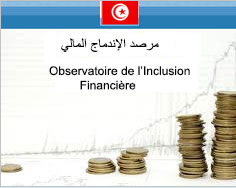 The banks' auditors must inform the Central Bank of Tunisia of their audit results and disclose any fact presenting a threat to the interests of the bank they audit or its depositors' interests.The auditors must, also, hand over a report of activity to the Central Bank of Tunisia at the end of each financial year, as well as another report to the departments of the audited bank. The Central Bank of Tunisia's supervision has been extended to bank subsidiaries, legal corporates controlled directly or indirectly as well as to subsidiaries of those legal corporates. Authorising the Central Bank to buy shares in companies dealing in common banking services management . Defining the prerogatives of the internal audit permanent committee which lending institutions must set up in compliance with the provisions of low n°94-25 . The BCT allows beneficiaries of professional and non-professional loans and of payment facilities to consult the relevant data. Law n°2007-69 of 27 December 2007 dealing with economic initiative.